This project takes inspiration from transport infrastructure in the Netherlands and will deliver an exemplary walking and cycle-friendly neighbourhood in the Woodside community. 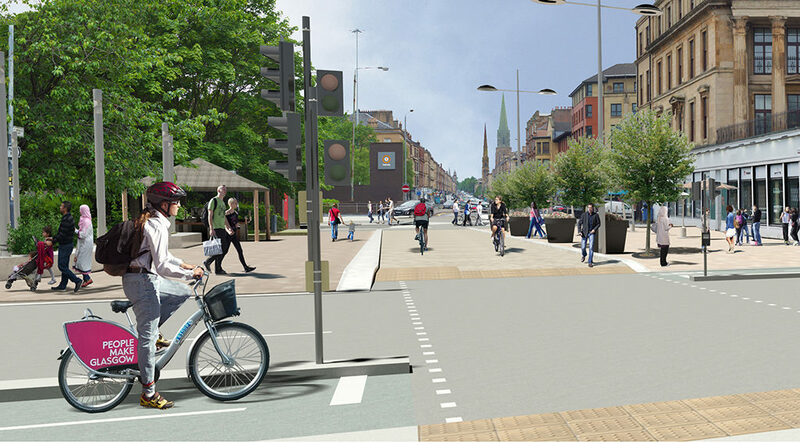 The project includes segregated cycle routes which connect up with existing and future developments as part of Glasgow’s City Council’s wider vision for transport across the city. 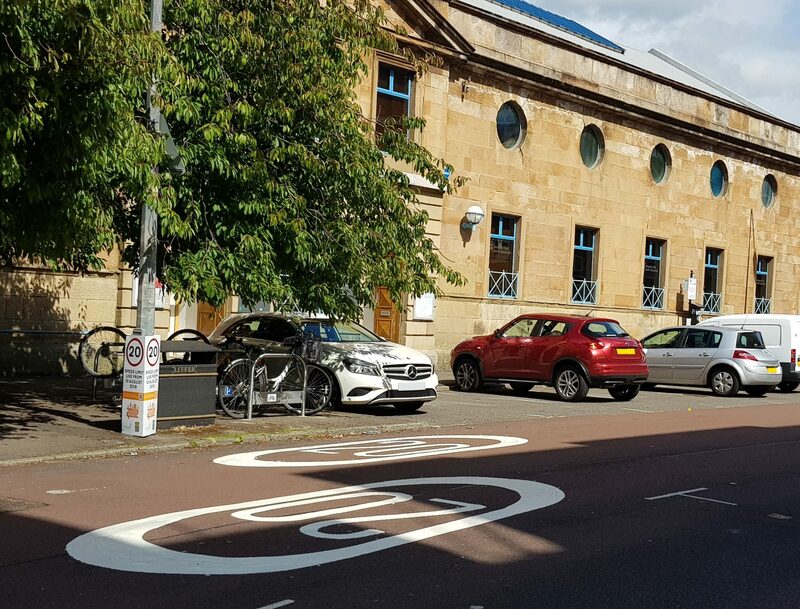 Segregated routes along the length of St George’s Road and Woodlands Road will connect through Charing Cross to the Sauchiehall Street ‘Avenue’ cycleway. The new route down Garscube Road will link to the Forth and Clyde Canal and the ‘Metal Petals’ underpass, connecting to the City Centre at Cowcaddens. Expanding the cycle network into the city centre will help encourage walking, cycling, scooting and wheeling as the favoured commuter options. Pedestrian and cycle crossing facilities at St George’s Cross Subway station will also undergo major redesign, improving the accessibility of the station and the surrounding streets. 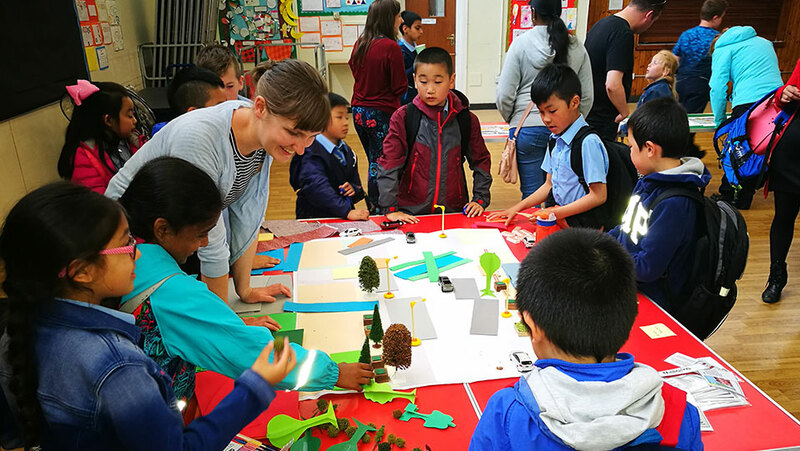 As the Glasgow area of Woodside becomes the latest in Scotland to adopt 20mph speed limits, Sustrans Scotland Community Links PLUS Project Co-ordinator Marie Davis takes a look at what the benefits of lower speeds mean for people on foot and bike as well as for local communities. 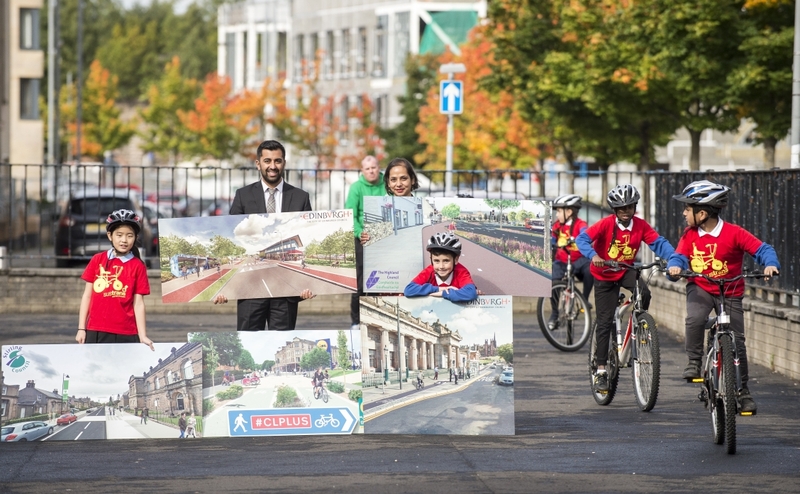 The Minister for Transport and Islands Humza Yousaf MSP, today announced that five ambitious active travel proposals from Edinburgh, Glasgow, Stirling and Inverness have been successful in the final judging of the Sustrans Scotland’s Community Links PLUS (CLPLUS) competition. 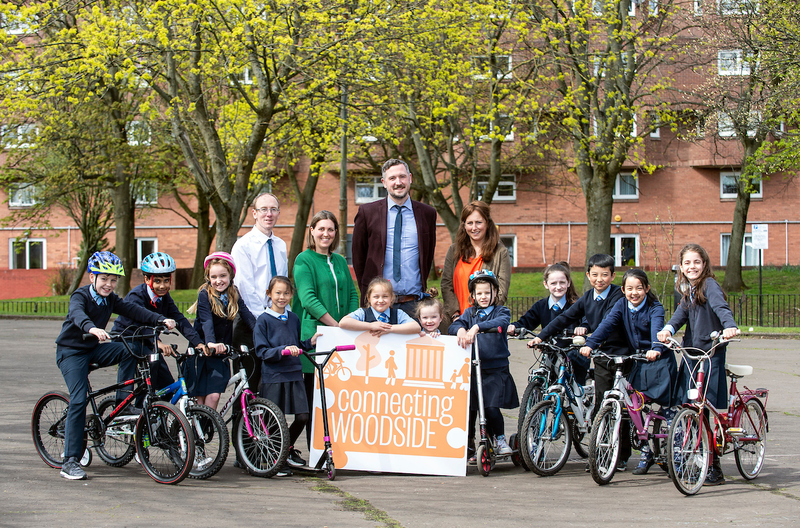 In addition to the health and wellbeing benefits that the project will bring to the community, the creation of Connecting Woodside will strengthen local economies and increase road safety. These are some of the key milestones for the Connecting Woodside project. "Glasgow City Council has shown real ambition and vision"